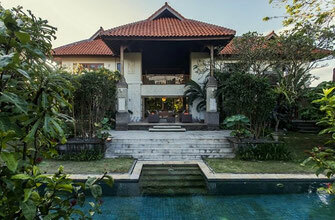 On this page you will find a directory of our properties on offer for sale in Sanur. To go to the page of the property of your interests, please click on the pictures of that certain property or click on the button that says “More information”. *With Sanur beach side we mean that the location of the property is on the side of the ByPass road towards the beach. 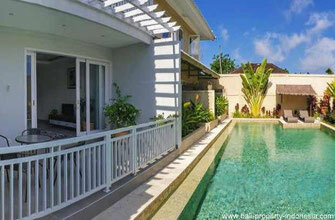 This villa is located in one of the most popular commercial and residential complex in Sanur. 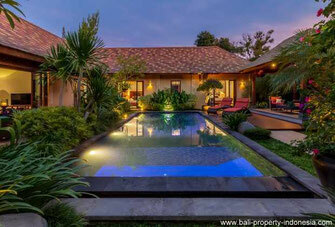 Beautiful Sanur villa for sale in the Mertasari area. A villa which is located just about 5 minutes walking from the beach. You want to start and run a B&B and stay in the property? Then this will be a chance to realize your dream. This cozy boutique hotel is located in Sanur’s Sekuta area. The hotel offers accommodation to 5 spacious rooms. 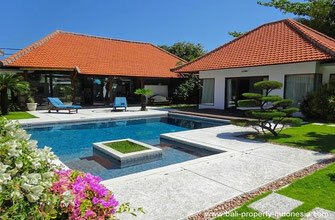 Spacious freehold villa, 4 bedrooms, located on the opposite side of the By Pass. A large garden with long swimming pool. 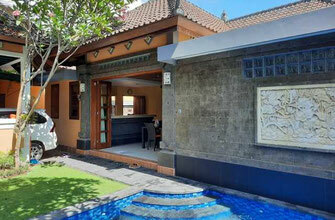 Sanur comfortable family home for sale, located in the heart of Sanur. 3 Bedrooms, just 10 minutes walking to the beach. 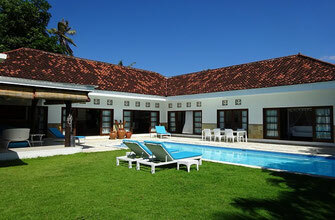 If you are looking for space and a multi-purpose villa, then we can offer you this villa in Kesiman, North Sanur. This hidden gem is located along the Poso Street in Sanur’s beach side. This spacious 3 bedroom villa is priced to sell. 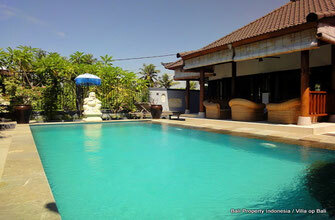 Attractive house for sale in Sanur. This is a spacious 2 bedroom house surrounded by a lush tropical garden. Attractive townhouse located in a one gate small complex. A townhouse with a shared garden, parking and large swimming pool. 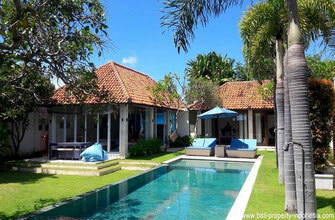 This three bedroom villa in Sanur offers a guaranteed and already paid long lease period, ending in 2060. Everything in this family home is large; large bed and bathrooms, large garden and finally an huge open gazebo. This cozy home is equipped with an IMB for office use and for residential usage, perfect for working and living at the same location. On offer for sale, close to the center of Sanur, a very spacious four bedroom villa with an exceptional long leasehold period. 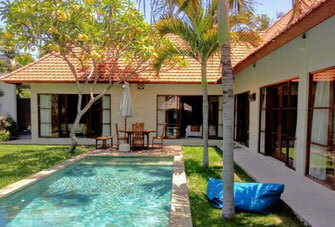 Three bedroom quality villa with pool and private beach access located in Sanur. A modern villa situated in a central location. Just at a 15 minute drive from Sanur, two bedroom villa, build in Balinese style in a very quiet and peaceful rural surroundings. This modern, luxury and comfortable villa is located at a quiet area of Sanur, just at a 10 minutes distance to this lovely town. Jl Kutat Lestari. 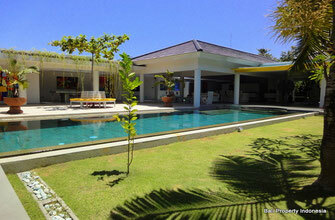 modern contemporary 3 bedroom villa, freehold in Sanur.